The Verdict: Like a defensive back with speed, the iBlade is sleek but hits with an authority you'll remember. The face remarkably is only .068 of an inch thick (slightly more than that of a quarter) and produces a powerful strike. The iron's stability is helped by a tungsten weight low in the toe. These irons make it easier to trust your swing. 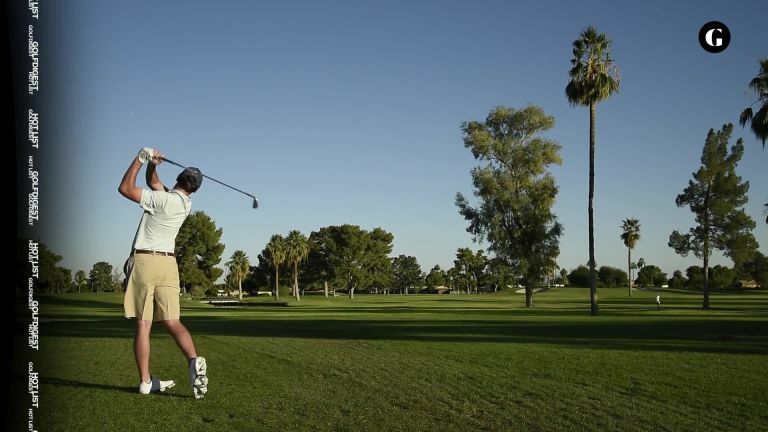 It's like an extension of your arms: You don't even feel the club going through the ball. I like the satin finish a lot. Very simple, but classy. The distance was surprisingly good. I was ripping the 9-iron and couldn't believe how far it was flying. Consistently clean through the turf every time. The word that comes to mind is magnificent. Immediately the 9-iron dropped three shots inside the size of a handkerchief. All felt syrupy sweet. That continued throughout the set. Outstanding results from thin hits.These could go in the bag instantly.